Phil Laak and Antonio Esfandiari will star in Discovery Channel’s “Underground Poker,” which premieres on Wednesday, September 10. “Underground Poker” on the Discovery Channel will star poker pros Antonio Esfandiari and Phil Laak starting on September 10. 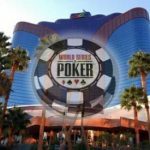 The cable television program will dig deep into poker and be part of a three-program block called, “All In, All Night.” The three shows, which will air one right after the other, will dive into different elements of casino gaming. The other two shows during the block of programming include “Hustling the House,” which explores the math and science behind the house edge in casinos, and “Casino Secrets,” which shows how casinos set up their environments to make sure a patron stays as long as possible. 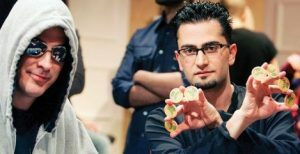 Finally, “Underground Poker” will follow Esfandiari and Laak, two of poker’s most successful and well liked personalities, into the world of “underground” cash games. Underground Poker will premiere on the Discovery Channel at 10PM ET on Wednesday, September 10. The two hosts for the show are Antonio Esfandiari (sometimes called ‘The Magician’) and Phil ‘The Unabomber” Laak. Both have had tremendous success at the tables during televised events and have made reputations as being savvy cash game and of course tournament players in Las Vegas and beyond. They are also well-liked among poker fans for their antics both at and away from the tables. Normally, poker television shows focus on the world of live tournament play, with ESPN historically getting good ratings for their yearly broadcast of the World Series of Poker (WSOP). This time around, “Underground Poker” promises to be much more of a “reality program” than traditional poker action coverage. Leveraging their connections made over the years, the two are purportedly going to find and join “underground” cash games across the United States. The reason the games are “underground” hasn’t been divulged by the network yet, but presumably the games are either played unbeknownst to normal poker players in a casino inside a secret back room, or, they are illegal cash games played in a private location outside of a casino. The description of the premiere episode of the show from the official Discovery Channel website states, “Elite professional poker players, Phil Laak and Antonio Esfandiari, travel to New Orleans in search of high stakes underground poker games.” It stands to reason that the show will be a reality-style program following the two into various cities to play in private cash games. Esfandiari and Laak have actually teamed up to host a television show in the past. Back in 2007, the famous close friends starred in a show called “I Bet You” on the MOJO Network. The premise of that show was that they would journey across America, where the two would engage in ridiculous proposition (Prop) bets. They would bet five-figures on just about anything and everything they came across, which was turned into two years’ worth of episodes. While a third season of the show was filmed, MOJO shut down in 2008, and the third season was never aired. Antonio ‘The Magician” Esfandiari is one of the most popular and successful poker players in history. He is a former professional magician and currently is a spokesperson for Ultimate Poker, one of the few licensed legal poker sites operating in the United States. He has two World Poker Tour (WPT) championships and three WSOP bracelets on his resume. 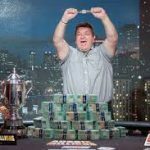 His biggest win, which was the biggest in poker history, was at the “Big One for One Drop” in 2012, where he won a little more than $18 million in a tournament requiring a one million dollar buy-in. He is second in all-time tournament poker winnings in terms of cashouts, trailing only Daniel Negreanu. Phil Laak has both a WPT title and a WSOP bracelet to his name and has an astounding ten final tables between both series. He was a winner of NBC’s “Poker After Dark,” where he won the weekly prize of $120,000. His live tournament winnings exceed $3 million, and he often lends his expertise as one of the sharpest poker minds to ESPN, along with his good friend Esfandiari, for color commentary during the WSOP Main Event. He got his nickname “Unabomber” because he often was found wearing a hoodie and large sunglasses while playing at the tables. A great duo! Should be well worth the watch!